MAZATL is a graphic maker from Mexico City who utilizes public space to communicate ideas and emotions and seeks to create conversations towards collective liberation. His work includes largescale woodcuts in public areas as well as graphic murals. He is dedicated to collaborating with groups, collectives, artists and movements that seek social, political, and environmental justice in local communities. Mazatl is a member of the Justseeds Artist Cooperative, a group of socially engaged graphic makers in Canada, the USA and Mexico who work collectively in the production of printed materials & installations worldwide. He is also a member of Animal Power Crew, an international graffiti crew devoted to creating work in public areas. Mazatl’s work is displayed in exhibitions worldwide. GRAFICA: AUWAHI is a project in collaboration with 2018 Artist in Residence Mazatl and the Auwahi Forest Restoration Project. During his 5-week residency, Mazatl created this mural with inspiration from his experience on Maui and at Auwahi. 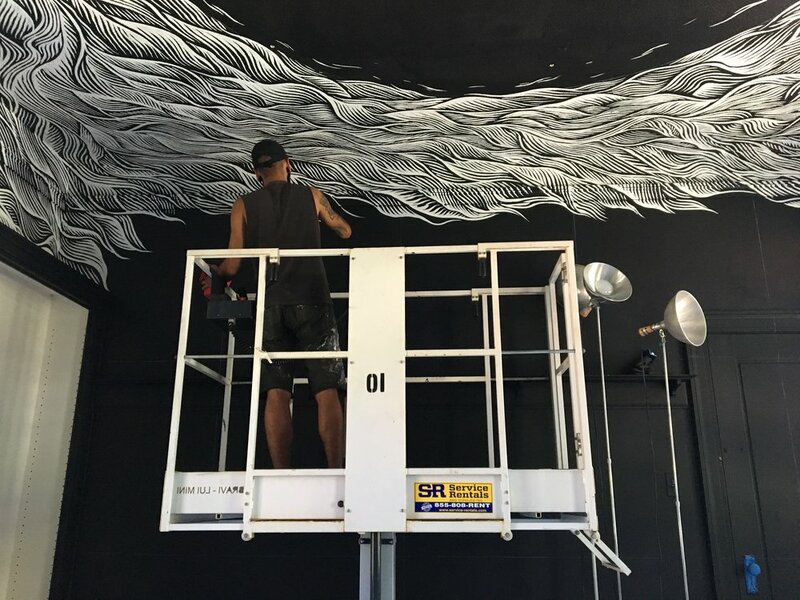 Hui No‘eau’s 2018 Artist in Residence Program is made possible with support from the Laila Twigg-Smith Art Fund of Hawai‘i Community Foundation.